My three-year old is currently learning to write the alphabet, and I have found that a wide range of activities stop him from losing interest. Chalkboards are very useful as letter attempts can easily be erased and retried. We use our homemade Chalkboard Tray. 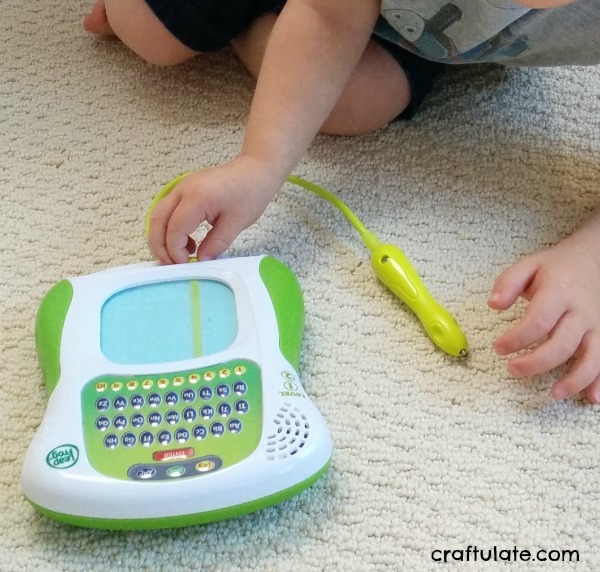 We don’t have many electronic toys but I am a huge fan of this Scribble & Write from Leapfrog. Users can select upper case or lower case, then the individual letter that they would like to write. The electronic screen lights up with the letter and shows how to write it. There is a stylus attached to the toy and each letter can be erased with a slider after practicing. It also has two difficulty levels! I often find great workbooks in the dollar store or $1 sections of stores like Target. These add extra variety to the learning process. This Leapfrog one that I got from the dollar store also comes with reward stickers for completed pages. To prepare this activity I cut a piece of paper to fit the inside of a foil tray, then glued it to the inside base. Then I poured in some coarse sand – but you could also use salt or sugar. I gave F a stick (actually a chopstick!) and at first he made lots of swirly patterns in the sand. When I suggested that he write a letter, he made me very proud by forming a perfect “E”! 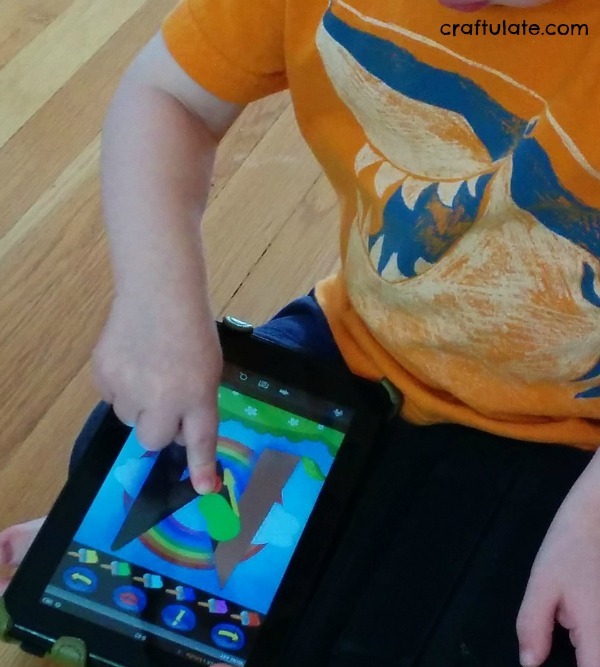 F goes in phases of liking the Kindle, and we have some great apps if he is in the mood! This is the best app I have found that concentrates solely on tracing letters – and it’s free! Users have to trace from the green dot to the red dot to form each letter. Upper case only. Based around the popular TV show, this app offers five different characters with their own section, and also some videos of various alphabet songs. Letter tracing is only one part of this game, but it really engages F because he loves the characters! 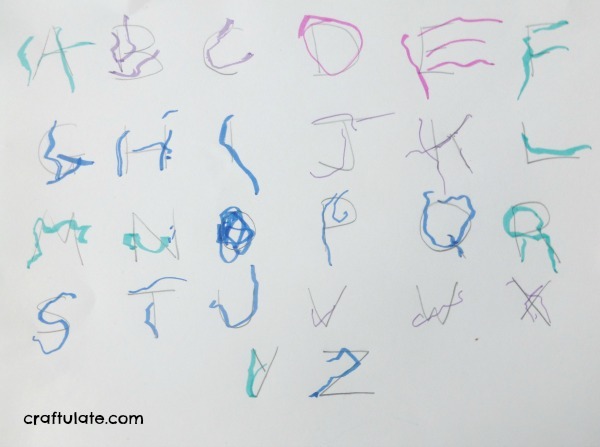 For letter tracing he can choose between lower case, upper case or a mixture. This app mainly focuses on words but one part of the game is for forming letters, and like the Super Why game the whole app is great! We have the Fisher-Price Travel Doodler Pro, and although it is intended for drawing pictures, we use it a lot for learning to write letters. It can’t really be used for tracing, but it is great for practicing free form letters with a stylus (he’s trying to write an A and an O here!). Old Fashioned Pencil, Pen and Paper! Yes, with all these books and toys there is room for old school too! Write out the alphabet in pencil on a piece of paper and give your child some marker pens to trace over your letters. F worked away at this over the course of a few days, tracing a few letters whenever he wanted to. 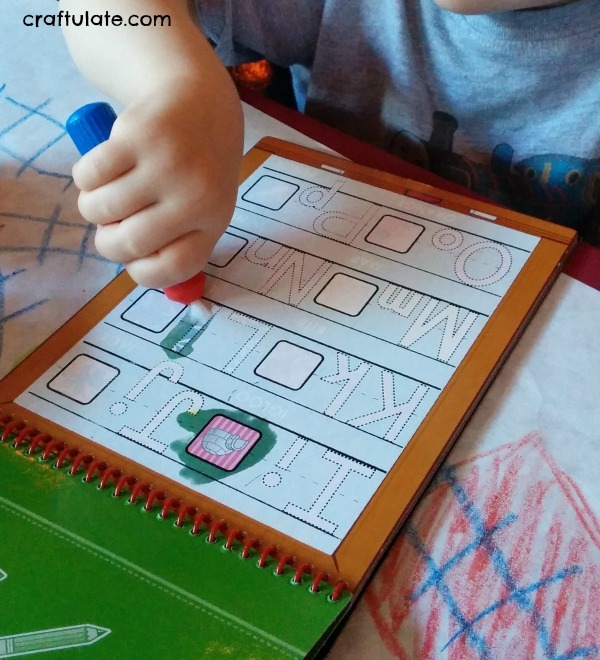 This Alphabet Water Wow Book from Melissa & Doug doesn’t really teach precision writing, but I love the concept of these books so much that I wanted to include it. Just fill the pen with water and then write on the book – the letters magically appear. It is totally reusable and is perfect for restaurants! 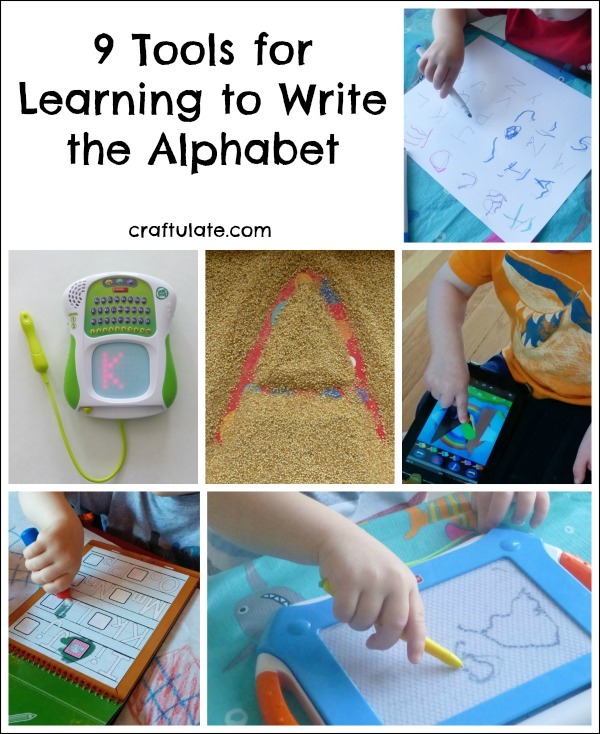 This activity doesn’t technically work on writing the alphabet, but it is a great way to start!